China’s Environmental Protection Administration (EPA) may shut down many factories due to substandard performance results, so how will this affect Amazon sellers’ ability to fulfill orders and request new inventory? Should you be worried? Manny Coats, the host of the AM/PM Podcast, dives into the ramifications of this Chinese factory shut down with John Zhou, a 7-figure Amazon Seller from Guangzhou, China that owns the successful Bags & Backpacks brand on over 15 retail platforms including Amazon Global, Walmart, Jet, and Best Buy. John comes from humble beginnings, getting into the eCommerce world several years ago and used his factory contacts in China to eventually create his own brand of bags and backpacks that he sells today. He is proud of the fact that he has been able to spread to many sales platforms and reach 7-figure profits in just a few short years. John admits that about 70% of his business is done through Amazon, and suggests it as the primary starting point for Sellers to begin their eCommerce journey and branch out from there. In 2012, John became one of the first Amazon Sellers in China and only started with $3000. Today, he employees around 25 employees to help him with his business including sales people, designers, graphic artists, photographers, and a social media team. However, competition is still fierce for John in his industry. In 2015, many more Chinese Sellers entered the Amazon marketplace to compete with John’s bag business and drove down his profit margins with tactics like sending free products out to gain reviews. To combat this new wave of competition, John got into sponsored ads on Facebook for the first time and forever changed how he invested into his marketing campaigns. John first mentioned the notion of Chinese factory shut downs on the Illuminati Mastermind Facebook Group, sharing that many factories may be shut down soon due to non-compliance of environmental protection laws in China. The Chinese government will soon gather in October for the 19th Session of National Congress of the Communist Party of China that is held every 5 years to discuss major issues for the nation, and environmental impact is chief among these issues. The EPA is a department of the Chinese government that deals with China’s ecological preservation and pollution reduction efforts and has a branch in every city in the country. Among the many powers of the EPA includes issuing scheduled or surprise inspections of factories for their performance in preventing environmental pollution and health hazards. If a factory is determined to be performing poorly in this regard by the EPA, the factory can be shut down and blacklisted by the Chinese government, effectively halting all production for undetermined lengths of time. 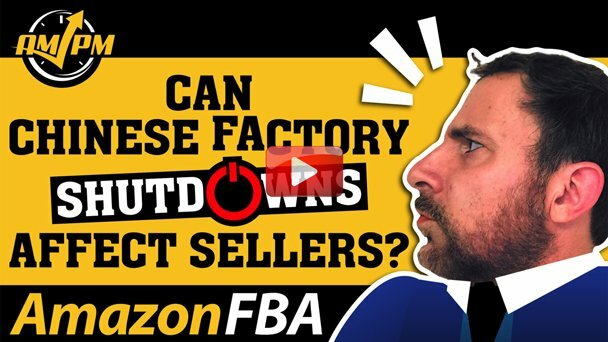 Factories are particularly at high risk of being inspected and possibly shut down during this meeting period, and shut downs can have a negative domino effect for Amazon sellers who order inventory from China. 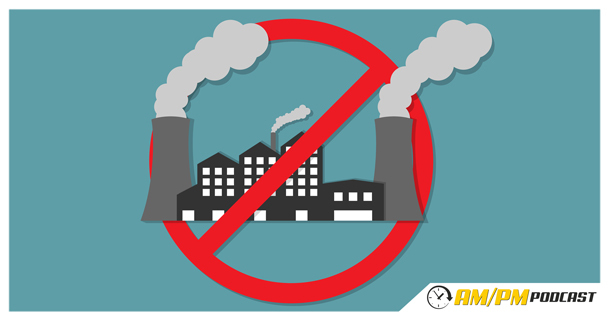 The shut down of raw material factories can affect those that produce actual products, resulting in major manufacturing delays or a complete halt of production altogether. This situation can cause costs to go up for Amazon sellers in China and elsewhere in places like in the United States. For example, if a factory that produces steel gets shut down by the EPA, any factories that use that steel to produce a product that an Amazon seller offers, costs will increase and inventory levels will drop significantly due to the imposed scarcity. This shortage of materials is especially true for common items needed for Amazon sellers such as packing materials, boxes, paper, etc. Another time period in which there can be factory shut downs is during March to celebrate World Consumer Rights Day on March 15th. On this day, China televises a show that addresses consumer complaints and exposes facilities for contributing to pollution and environmental harm. Factories can be investigated and inspected if they are mentioned during this broadcast as not adhering to lawful safe operating standards. If the factory that an Amazon seller deals with for inventory gets shut down, there is a definite high risk of the Amazon seller losing out on the money, so it is always in the interest of the seller to a) find a supplier that adheres to all EPA guidelines, and b) keep in contact with the supplier to ensure that they are following the rules so they do not get shut down. In terms of selecting a good supplier for your products, you are better off talking to a senior manager who works for the factories themselves to get better prices than talking to intermediaries like Alibaba. Attending events such as the Canton Fair are great places to get introduced to a variety of suppliers Amazon sellers may want to work with. Culturally, striking deals in China mimics America and other Western countries in that negotiating over dinner and drinks when visiting China is perfectly acceptable. Additionally, most Chinese factories prefer to make deals for the long term as they are much more beneficial relationships to engage in, so finding a supplier you like and who gives you a great price is even more important. After striking a deal, it is recommended that Amazon sellers wait a year to renegotiate new terms with suppliers to give the relationship a chance to mature into something mutually beneficial. Negotiating power may also depend on the reputation you possess with your current supplier (if you have one), but it can also depend on the size of the orders you place with the factory as well as the size of your niche market. It is often more advantageous to be a big fish in a small pond, so to speak, in order to have more negotiating power. In China, it is reasonable to get a 30% down deposit with 70% at the end deal with net 60 days terms after the order arrives at its destination port after doing business for a year. When first building your brand, it can feel difficult to do so without spending a ton of money. The key is to spend your small amount of money smarter. Amazon is very Google-friendly and is easily indexed for optimized search results, so getting your products on Amazon is already an effective means of ranking quicker than those who do not. Additionally, Amazon’s affiliate program brings in more opportunities through bloggers, content creators, and influencers that help product listings to get more reach. In time, selling products across multiple Google-friendly platforms will also help them to be indexed faster and a brand to grow quicker without spending a fortune on advertising. In addition to using the correct keywords, a brand can make the rounds quickly just by proper indexing. Before trying this will all your products, you may need to test how well this tactic may perform for your given industry and set of products. 18:54 Can My Money Be Lost If My Supplier Gets Shut Down in China? 20:46 Are Suppliers Like Alibaba Good Places to Get Inventory From? 22:30 How Should I Strike a Deals When Visiting China? 23:16 How Should I Negotiate My Deposit with My Supplier? 28:22 Does My Company’s Size Matter When Negotiating with Suppliers? 29:13 What Are Reasonable Terms to Get With Chinese Suppliers? 29:53 How Do I Build My Brand Without Going Over Budget?